Bring your customers to enjoy our world famous Lavender Fields and the intriguing Lavender Oil Distillery, National Lavender Collection and Herb Garden. 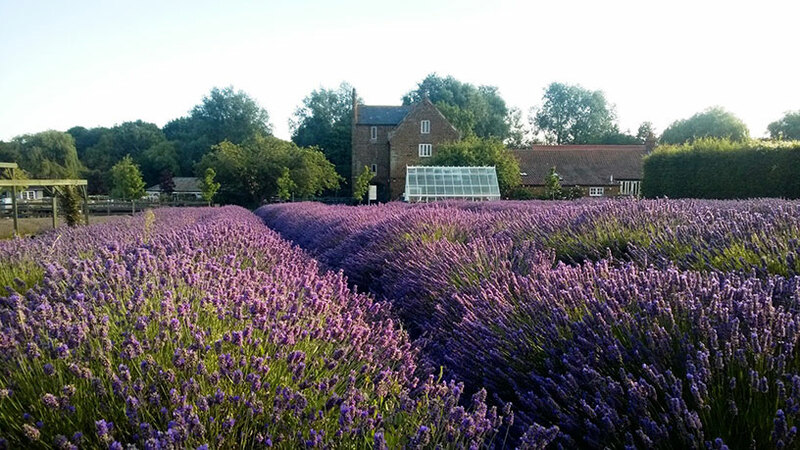 Discover the great tradition of English Lavender growing. Take a tour in your own coach through the local villages and finding out about some of the lore and legends. Understand more about herbs and their uses as demonstrated in the Herb Garden. Enjoy the many different varieties in the National Collection. The Thursford stop-off: Taking a party to Thursford? You'll need a bite and a pause before you get there. We can do you an early lunch and your party can do some of their Christmas shopping too. If you like, we can organise a guide to give you a brief talk while you are eating. Combine your visit to us with a stop off at one of the other attractions in the area. There's masses to see and do in Hunstanton, and then visit Sandringham, Holkham Hall, or Houghton Hall. Norfolk Lavender makes an excellent day out for wheelchair users. Everything is on one level. Wherever possible there are concrete paths and ramps to assist wheelchair access. We do have a wheelchair here if any of your party needs to borrow one. In this case, please make sure you reserve it. There are two toilets for the disabled. There are two toilets ( including for the disabled), one in the car park and the other one by the Norfolk Lavender Gift Shop. Minimum quantity for a tour or group meal booking is 20 people. Cancellations / Reductions of more than 20% of booked passengers for tours and meals can only be accepted up to 14 days prior to the date of your visit. Thereafter, we reserve the right to levy a £100 cancellation fee. Cancellations/Reductions of fewer than 20% of booked passengers for tours and meals can be accepted up to 2 days (excl Saturday and Sunday) prior to your visit. Additions: Please give us a minimum of at least 24 hrs notice of increases in numbers to avoid any disappointments. We will always do our best to accommodate them but in busy times this may be difficult. All prices quoted include VAT at the current rate. In the event of any changes we reserve the right to alter prices quoted. Payment: Unless other arrangements have been made in advance all tours and meals must be paid for by cheque, card or cash during your visit.